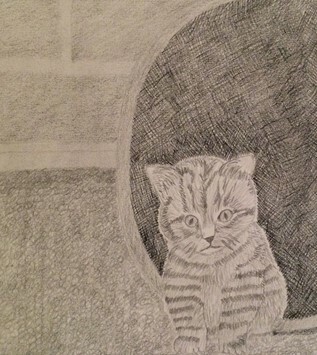 Freeline Productions has released the mysterious fiction novel “Koby’s New Home,” the story of a man, a stray kitten … and an apartment complex filled with alienated tenants, many of them now lost souls. The book takes a sometimes humorous, often unsettling and scary look at economic dislocation. Having lost his job and now struggling to find a new one, William Grabinski has no choice but to rent a small, dirt cheap unit in an old, decrepit building. Feeling lonely and isolated there, he can’t resist adopting a kitten that cries at him from the building’s courtyard on a cold December day. 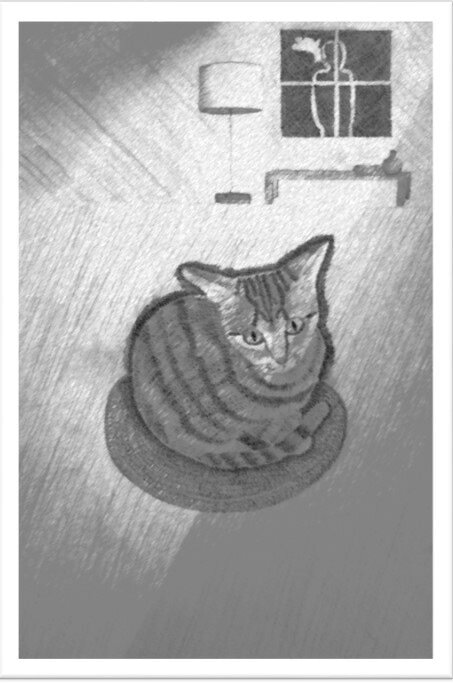 The kitten, which Grabinski names Koby, is shivering and starving. He stares up at the man who stops and speaks to him, wondering if he’s a threat or not. The kitten allows Grabinski to pick him up …. The purring machine quickly goes off. Now tiny Koby has a home. It starts out very much like a heartwarming and sentimental story of a depressed man who finds comfort and happiness in caring for this sweet, adorable kitten. But it isn’t long before the book heads off in a much darker direction. The first problem is that Grabinski is suddenly completely paranoid — because his building has a strict no pets policy. What if he gets caught? Will Grabinski and Koby both end up on the street? He nervously bites his nails wondering if there will be a knock on the door, announcing his eviction. Will both man and kitty end up living in a cardboard box? And yet, that turns out to be the least of his problems. Through a series of strange and sometimes ominous incidents, Grabinski becomes even more anxious about his life in that complex. He starts to believe the entire building is corrupt, even destructive. Grabinski confronts haunting images: the elderly man in the dark, barren room, the children’s dolls being burned in a demented nighttime ceremony, the mysteriously reappearing box of poison tablets, and, most eerily, the menacing figure that Grabinski comes to call Cigarette Man, who stalks him everywhere he goes. If Grabinski steps out in the hall, it seems like Cigarette Man is standing there, watching him. “Koby’s New Home” examines people coping in an often intensely hostile environment. The apartment building is filled with people struggling to survive in a grim economy, and nobody is happy to be living in such a decaying complex — Grabinski included. The pitiful, humiliating feelings these tenants experience from sharing space in this dismal location eventually turns deadly — and horrifically violent. At that point, it’s no longer about economic survival for Grabinski. 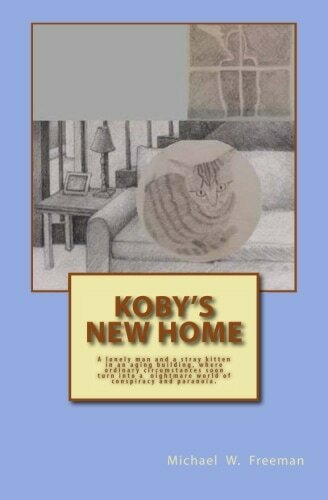 “Koby’s New Home” is 132 pages and is available to purchase for $7.98 in paperback and $3.99 as a Kindle download. The novel, written by author, playwright and journalist Michael W. Freeman, is available on Amazon, as a Kindle eBook, and through the Freeline Productions online bookstore at http://freelinemediaorlando.com/published-works/. Check out a free sample chapter at http://freelinemediaorlando.com/check-out-this-free-sample-chapter-of-kobys-new-home/20023/. Michael is also a playwright, active in Central Florida’s fast-growing theater community. He wrote and produced the original plays “Hooked,” “Copping a Craigie” and “Murder Sleep,” which premiered at the Orlando International Fringe Theatre Festival. A passionate lover of theater and the arts, Michael is a guild member at The Orlando Shakespeare Theater and a member of the Playwrights Round Table in Orlando. 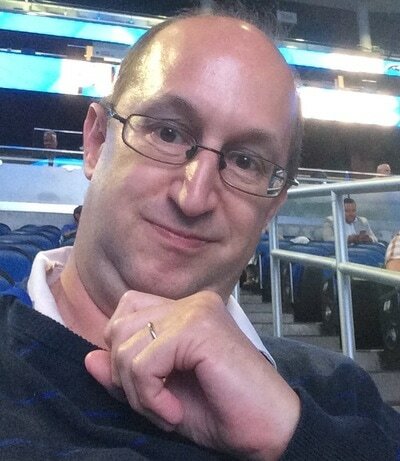 Michael was born and raised in Fall River, Massachusetts, and has lived in Orlando since 2002. Michael enjoys reading, traveling, the music of The Monkees, the films of Roman Polanski, the writings of Franz Kafka and Roland Topor, catching re-runs of the 1970s TV series “Kolchak The Night Stalker,” and the great art of comic books. Michael is also the proud papa of his cats Fluffy, Midnight, and Peaches. Contact Freeline Productions at Freelineorlando@gmail.com. 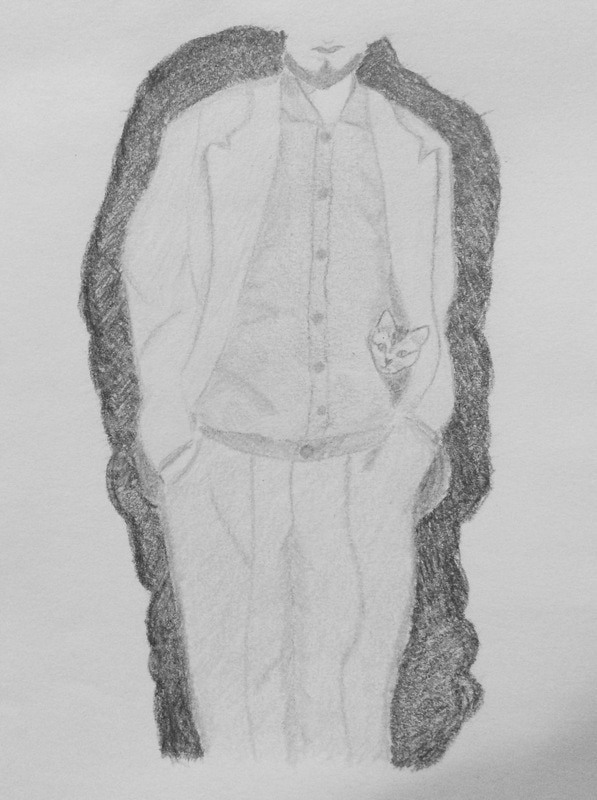 Michael Freeman has always been a lover of cats. He has three now: Fluffy, Midnight and Peaches. Fluffy was the first to come into his Orlando home. A tiny kitten, she made the decision one mild December day to sleep on the tire of a car. When the owner arrived, got in his car and started to drive, poor little Fluffy was thrown and injured. One of Michael's neighbors found her, and asked Michael if it was possible he could adopt her. He did. For nearly a week, Fluffy hid behind Michael's living room couch. Eventually, she developed the courage to brave the rest of the house ... and now the rest is history. Next up came Midnight ... and an object lesson in torn lanai screens. At Michael's home in Orlando, he has a lanai with a pool that is completely screened in. The screen to one of the doors got torn, and Michael was negligent in getting it fixed. That provided an opportunity for an older stray cat, Midnight, to sneak onto his lanai in search of the food he had left out. Midnight also opted not to escape by jumping back through the torn screen, but instead to sneak under his house and live in the dirty crawl space. Knowing Midnight was living under there, Michael continued to leave food out for her on his lanai, even though the cat was afraid of people and dashed back under the house whenever she saw him. That was in September. The following April, Midnight finally started to warm up to Michael. She started to come closer to him, even let him pet her. Eventually she let Michael take her inside the house. Scared at first, the fear didn't last long. Now Midnight feels like she owns the place and hardly ever goes outside. And finally there was Peaches. Michael discovered Peaches one November day, starving, emaciated ... and with a strange smell. Unlike Midnight or Fluffy, Peaches wasn't afraid of Michael and approached him. When he picked her up, he noticed the smell on her face, and it was a familiar one: hot sauce. Someone had poured hot sauce in the poor cat's face. Michael took Peaches into his home, cleaned her face, and fed her. That was a big hit. Now Peaches sleeps a lot in a rocking chair and seems content to eat and stay comfy in his home. "Koby's New Home" was written in a matter of days in October 2016. At the time, author Michael Freeman was searching for a full-time job, and finding it was a slow process. A few months earlier, that previous June, Michael had received a pink slip from The Orlando Sentinel, where he had worked as an editor and news writer for the past three years. The financial impact of four months of being unemployment was less severe on Michael than it could have been. He is married and his husband, Mel, had a stable and profitable job at a law firm, so they were never at any risk of losing the roof over their heads. Still, Michael often wondered what would have happened if he had been single. That formed the basis of "Koby's New Home." "I had this image in my head," Michael recalls," of the main character, Grabinski, having gone through the exact same experience of having lost his job and then his great apartment, and finding himself into this tiny apartment in a really ugly old building, filled with people who hated being there but couldn't afford anything better. I started with that image of Grabinski in that apartment, feeling just as depressed and alienated as everyone else. "Then two other images came into my mind. I imagined Grabinski looking out his apartment window into the courtyard below and seeing two men in a fierce argument, with the threat of violence bubbling just beneath the surface. One of the men looks up and notices Grabinski watching him, and seems to respond angrily to that. "Then I imagined Grabinski leaving a convenience store and finding a stray kitten in the courtyard, starving and cold. He's torn between adopting the very cute kitten or obeying the apartment complex's strict rules against tenants owning pets. When he finally does decide to take in the kitten, he falls into a sea of paranoia, suddenly fearful he'll get evicted and lose this awful apartment -- and have nowhere to go." The Orange County Animal Services Pet Rescue & Adoption Center is located at 2769 Conroy Road in Orlando. Visit them today, or email them at AnimalServices@ocfl.net, or call 407-836-3111.